When operating a successful and sustainable adoption center, there are several basic statistics that are helpful in determining capacity and planning for equine intakes. Most organizations want to help as many horses as possible; the way to achieve this sustainably is to begin by measuring basic equine data including intakes, adoptions, other outcomes, length of stay and capacity. Intakes and outcomes are fairly self-explanatory: equines coming into and exiting the rescue organization. Intakes can be tracked by source, such as owner surrender/donation, transfer from another organization, law enforcement seizure, auction purchase, born in shelter, return and so forth. Outcomes are frequently adoptions but also can be deaths in care, returns to owner, euthanasia, transfers out, et cetera. The importance is that equines are moving from a state of risk (at intake) to a humane outcome. Length of stay (LOS) simply means the amount of time the equine is at the shelter. (It’s sometimes called “turnaround,” conversationally.) Adoption organizations typically track each horse’s length of stay by marking the date of intake and date of adoption (or other outcome) and can use that to calculate average LOS across all equines served. 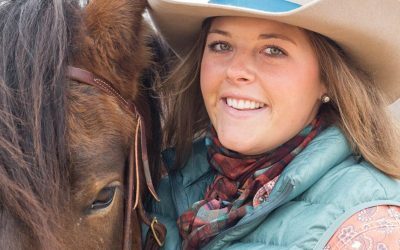 There isn’t one set turnaround time that is right for all rescues or even each horse at one organization. Because all horses are individuals and have differing needs, time at a shelter may vary widely from animal to animal. The idea is that length of stay should be long enough to fill whatever needs the equine has and place it with the right adopter without delay. That may include gaining weight, receiving medical care, letting down from a competitive career, rehabbing from injuries or undergoing retraining. Some horses have longer length of stay simply because it takes a little while to find their right adopter. 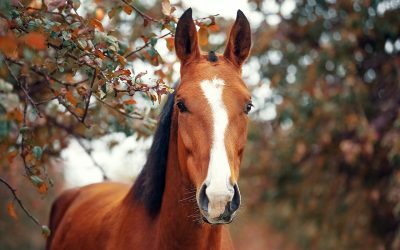 Average turnaround time varies widely between The Right Horse adoption partners and we do not have a certain requirement or even suggested average LOS for partners. All operations are individual and know the best way to serve different populations most effectively. Length of stay can be a great way for organizations internally to measure progress and track outcomes that are important to their missions. For example, one of the pilot programs The Right Horse funded recently celebrated a reduction in average length of stay from 18 months to 7 months. While that was not the original intent of the program, it was an unexpected outcome. The program did not change the amount of time the horse was at the facility receiving the necessary care and training to be ready for adoption, rather it reduced the time that the horses remained at the facility after being ready to find a new home. That means 11 fewer months, on average, that horses are waiting to find their new homes and families! Length of stay can also affect other measurable outcomes, such as capacity. Often when rescue managers think “capacity,” they think of physical space such as stalls or paddocks. Physical space determines an organization’s capacity at any given time, but length of stay and other resources such as training affects their capacity over time. For example, a facility with 10 stalls can be described as having a static capacity of 10. If average length of stay is 6 months, those 10 stalls each serve two horses per year amounting to a yearly capacity of 20 horses. If average turnaround time is 3 months, intake capacity is 40 horses annually. Typically, length of stay varies quite widely because horses are all individuals; in those 10 theoretical stalls there may be a few horses requiring extensive rehabilitation and longer stays, some needing a moderate amount and some needing very little to be adopted back out. In this way, organizations with a small physical capacity may still be able to affect many equines per year if they are well-equipped to train, rehabilitate, market and place horses. Conversely, a facility with hundreds of acres may have plenty of physical space but less human resources to help horses progress towards adoption quickly. It’s key to have a plan for each horse that enters the shelter; for example at Horse Haven of Tennessee, the Equine Manager creates a document called an Individual Equine Plan for every horse within a few days of entering the shelter. 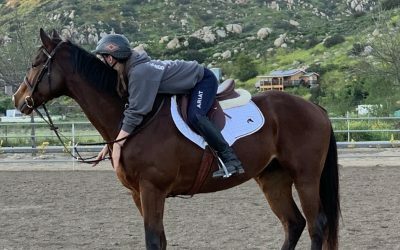 Once they have evaluated the horse they determine goals and needs for health, nutrition, ground manners, socialization, and riding evaluations, which makes it easy for trainers and volunteers to provide needed care. Some other measurable outcomes that non-profit organizations across all sectors often track include volunteers, volunteer-hours and clients served in other ways; for example, hay banks, gelding clinics or educational programs. There are very few hard and fast rules around most of these measurable data points. What’s most important is that organizations track basic data in the first place and communicate and use that information strategically. The Right Horse Initiative does not set minimum, maximum or ideal numbers for any measurable data points but rather considers them as part of the whole picture when first learning about an adoption agency and second, evaluating potential programs or grants. Measurable outcomes help all involved understand the mission, plan steps for success and track progress towards the goal. All pilot programs track different measurable outcomes and those goals look very different depending on the program. Number-crunching doesn’t have to be complicated or painstaking. Tracking numbers really boils down to one thing: helping more at-risk horses. Ready for more or want to try it in your own organization? Check out previous blog posts discussing the importance of data and why adoption numbers matter.